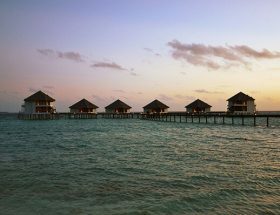 Park Hyatt Maldives Hadahaa 5* Deluxe, Reviews, All Inclusive, Booking, Email, Food Menu, and More. 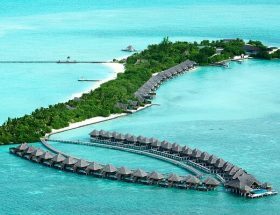 It’s a superb vacation destination in the Maldives. 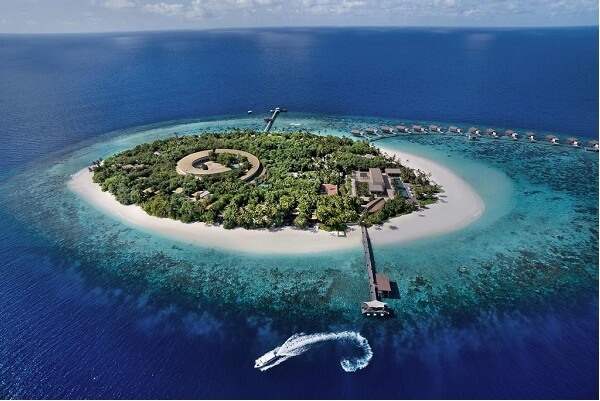 This beautiful island resort consists of only 50 villas, including 14 water villas. It’s a good resort, especially popular among the honeymoon goers, with relatively few distractions. 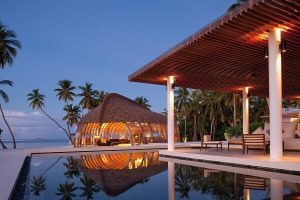 Park Hyatt Maldives Hadahaa believes in quality rather than a wide range of options. 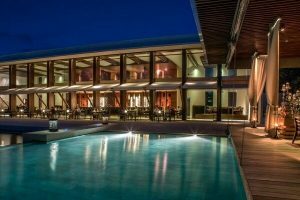 In this article, we have covered everything about Park Hyatt Maldives Hadahaa, including food menu, food prices, reviews, booking details, contact details, and much more. So, let’s see! 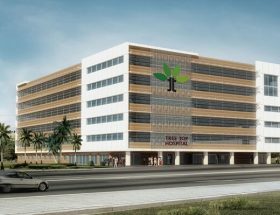 Velana International Airport or also called Male International Airport should be the first choice to land in the Maldives to reach Park Hyatt Maldives. For more information, visit our section “How to Get There”. 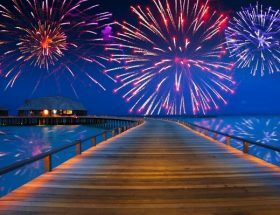 Park Hyatt Maldives Hadahaa is one of the best available options to spend your honeymoon, birthday celebrations, New Year, Christmas, Eid, Easter, and many other occasions. The following are popular services available at the resort or provided by the resort. 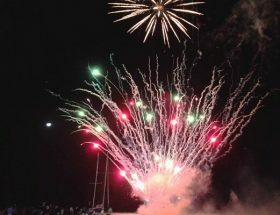 The following are popular activities among the party goers, and holiday makers. 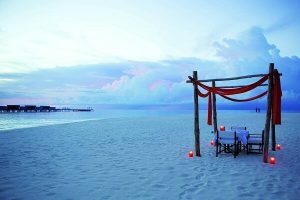 Themed dinner nights are useful for Valentine’s Day celebrations, honeymoon special dinner, Christmas celebrations dinner, new year dinner, birthday special dinner, and more. However, you have to pay extra / additional charges applies besides your stay charges. It’s an amazing island resort to explore various amazing pool and wellness facilities. 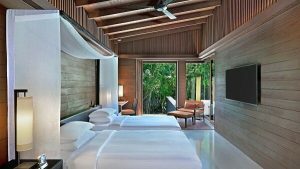 However, some facilities carries additional charge / cost to the guest. This may be added in later on in your final bill. You have to pay extra for Male Airport transfer. You should contact the island resort after your overwater villa reservation. 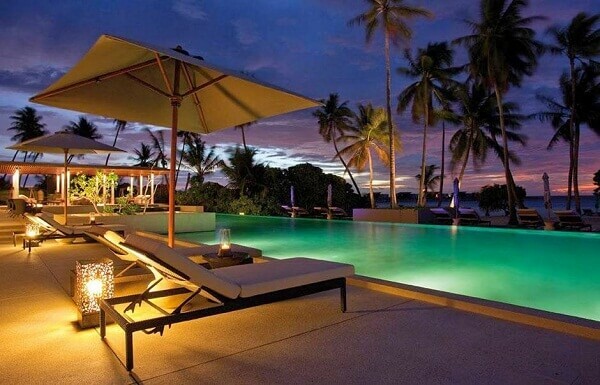 It is one of the most important services when you are holidaying in the resort. A good cleaning service makes your holiday hassle-free. 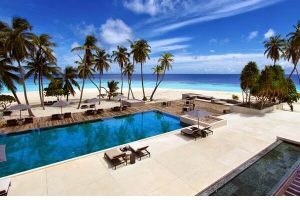 The following are cleaning services provided by the Park Hyatt Maldives Hadahaa. It is one of the best things when we spend our holiday in any restaurant. A simple food menu is given below without prices. It depends on your selected brand and quantity. The following are general facilities / services available at the Park Hyatt Maldives Hadahaa. A few services / facilities requires charges / cost. 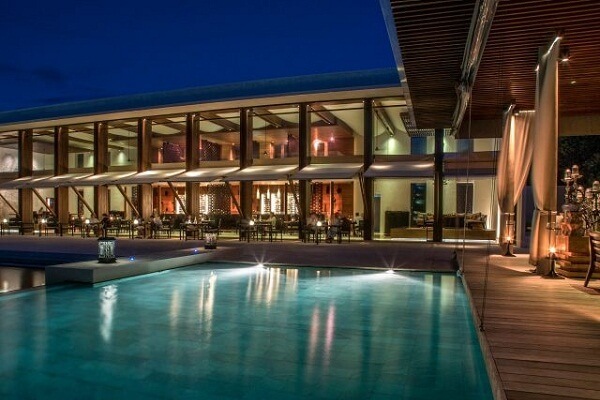 This resort offers the following reception services and facilities to their guests. A 24-hour front desk is one of the best ways to get help for everything. A private check-in and check-out is also a popular service among the guests. 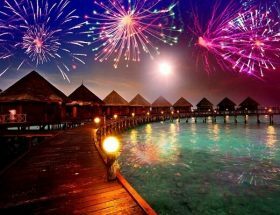 A special gala dinner / special meal is serviced on December 24 (Christmas Eve), and December 31 (New Years Eve) each year. All charges are to be paid directly to the resort itself. If you are looking for amazing, and wonderful deals (lowest prices), then visit this page here. You would get the lowest rates available online. Do not forget to share this article with your friends for amazing deals. 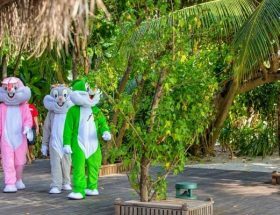 To reach Park Hyatt Maldives Resort from the Male International Airport, take a domestic flight to Kooddoo Domestic Airport. 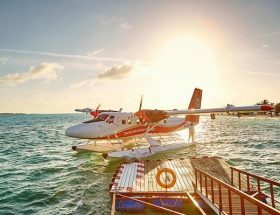 From this airport, take a speedboat transfer for the resort. 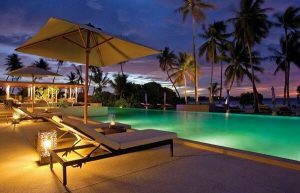 It may take up to 30 minutes from Kooddoo Airport to the resort. The following are contact details of Park Hyatt Maldives Hadahaa. 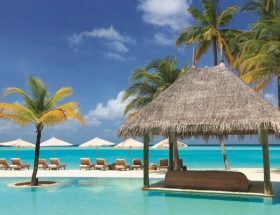 Q1: Are pets allowed at the Park Hyatt Resort Maldives? Q2: Is WiFi / Internet is free or charged at the bill? 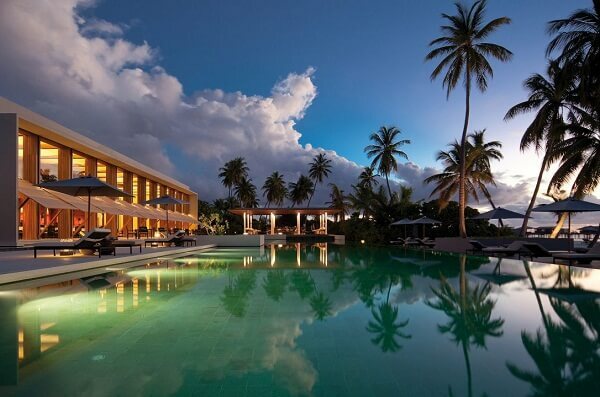 Q3: Which languages are spoken at the resort? Answer: German, Chinese, English, Filipino, Spanish, Thai, Hindi, Indonesian, Russian, Malay, Italian, and Korean are spoken at the resort. You can checkout resort video from here. Article first published on January 27, 2019.